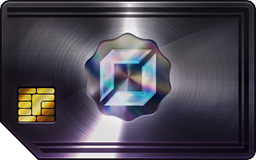 In Prismata, players earn collectibles by first unlocking access to special minigames. 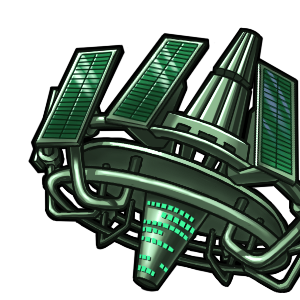 By completing daily quests or collecting wins on a Ranked Play ticket, players can obtain special items known as Power Cores, Omnipower Cores, and Black Cards. By spending these special items, players can access two card-flipping minigames known as the Armory and the Black Lab. Succeeding in these minigames will reward lucky players with fresh new cosmetics. 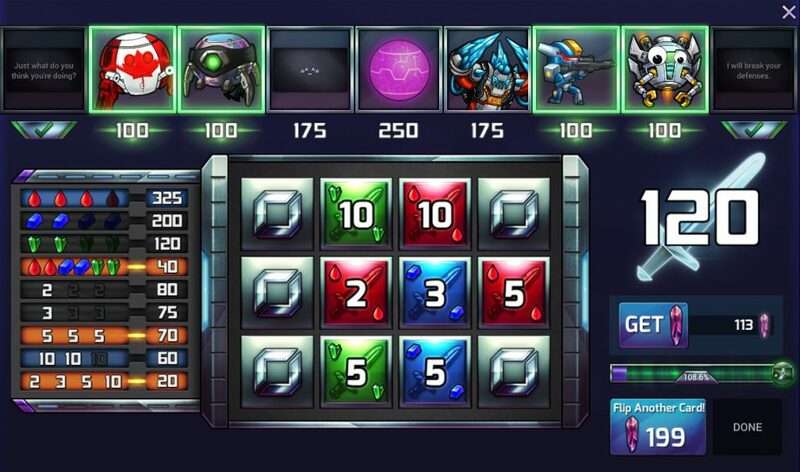 The Prismata Armory, where players flip over cards to earn enough points to unlock prizes. Bonus points are awarded for flipping combos like three fives. In the armory situation above, the player has scored highly by flipping over a number of combos. After the conclusion of the card-flipping phase, the player must now spend the points on cosmetics, and can only choose from the available selection at the top of the screen (which is randomly generated for each Armory session). Specifically, the player above has an additional 120 points to spend, and there are four “level 2” rarity skins available, each at a cost of 100 points. The player can thus choose only one of these four rewards (unless they wish to “Flip Another Card” and see if they can increase their winnings). In the situation above, the choice of one reward over the other three exhibits a player preference for that specific cosmetic item. 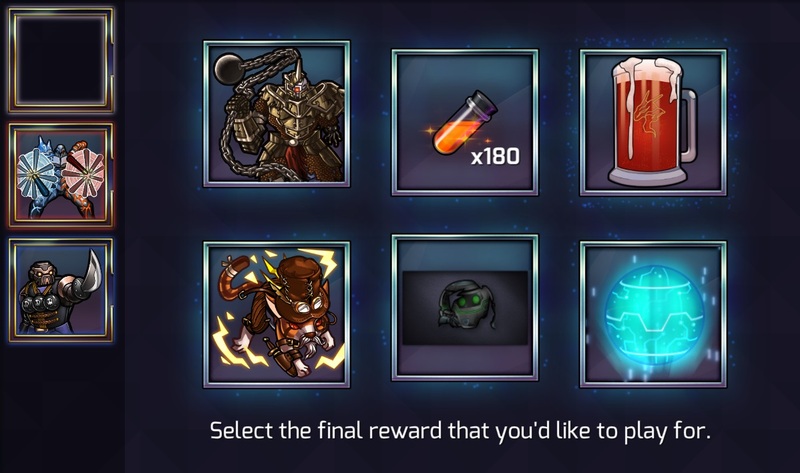 By examining choice situations like these and performing some analysis on them, we can rank all of the Prismata collectibles by how often they are chosen. Of course, we don’t get any data when the player loses in the Armory, or when they win sufficiently many points to unlock everything. For our experiments, we only considered situations where a player selected something of a given rarity whilst not selecting another item of the same rarity. (Unfortunately, this implies that we don’t have this type of preference data for Level 4 items, because they only spawn one-at-a-time in the Armory). In the high-stakes Black Lab minigame, players actually choose which prize they might win before beginning the game itself. This results in more datapoints than we obtain for Armory sessions, since a player gets to express their preference every time they visit the Black Lab, win or lose. Our exploration of this data was motivated by a number of things. After introducing Infusions earlier this summer, we wanted to look at the Armory and Black Lab data to determine whether or not players liked receiving them as prizes. We also wanted to determine whether Black Fragments—a special unlockable that can be chosen in the Armory to accelerate the acquisition of additional Black Cards—were favoured over Infusions. As it turns out, obtaining the desirability of every cosmetic in Prismata wasn’t really any more difficult. So we did it! Initially, we took a naive approach and simply counted the fraction of the time that each cosmetic item was chosen. However, there are a number of limitations to this approach. We add new items all the time, so newer items could be underrepresented, or might find themselves picked more often because they compete with the leftover items that are less desired by players who have built up a large collection. Instead, we computed the Elo rating of each item, treating every situation where Item 1 is picked over Item 2 as a win for item 1. The most-picked items thus ended up with the highest ratings. We tried a number of different methods and many trials using randomized orderings, varying k-factors, and other algorithmic details. However, the results were pretty consistent: some skins were clearly preferred to others. We initialized all the Elo ratings at 2000 before obtaining the results below. Space Hotel Zemora Voidbringer is the highest rated skin in the Black Lab. Somewhat interestingly, Infusions win at Level 2 but lose at Levels 1 and 3. We’re not really sure why. The overall rating of both Infusions and Black Fragments is higher at Level 1 because some players just don’t like emotes very much, and skins are not available as Level 1 prizes. We’re not sure if this is the first time that Elo ratings have been used to evaluate the desirability of collectibles (it probably isn’t, but we’ve never heard of anyone else doing it). That said, these ratings don’t really paint a full picture of player desires. Some choices are highly polarized, like Infusions vs Black Fragments (most players are relatively consistent in their choice if they make it multiple times). Some players still tell us they don’t like Infusions at all. Nevertheless, we’re very happy to give players a bit of choice in their rewards, rather than simply give them a random pack of collectibles every now and then. After all, it results in a fantastic dataset.